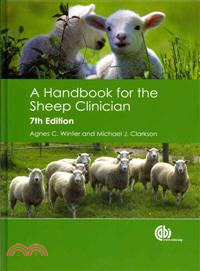 An established favorite with veterinary and agricultural students and a valuable addition to the library of any veterinarian or sheep farmer, this handbook covers the basics of sheep medicine and production. Geared at being an on-farm reference, it concisely conveys all of the fundamental information for the treatment of sheep worldwide. In this fully updated and revised seventh edition, topics covered include reproduction, vaccination, pregnancy and newborns, lameness, parasites, diseases, neurology and health promotion.An emphasis on diagnosis and treatment combined with short, easily digestible chapters and step-by-step diagrams makes this book an essential practical guide to recognizing, treating and preventing disease.